As far as slasher villains go, Art the Clown certainly feels iconic. The images of Art skulking around the darkened city streets and stalking his prey in the dilapidated building in Terrifier are instantly memorable. 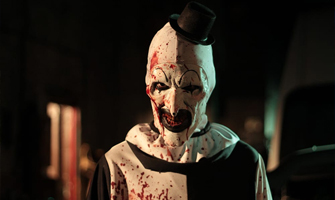 Before watching Terrifier I had previously seen All Hallows’ Eve which Art the Clown also appears in, and Art was easily the best part of that movie. When I heard they were wisely giving Art his own full length feature, I was excited to see how they would handle the character. I wasn’t disappointed. Art is super creepy, super brutal, and super mysterious. One thing I don’t care for much in slashers is when the killer is humanized or given too much of a background story. Mysterious motivations are almost always scarier in my opinion. The motivations for Art’s murder spree are left completely unknown, but it is clear that he is a very driven clown. What drives Art? Who knows? Who cares? Art kills a lot of people. Murder is his art, and he loves to get creative with it. Seeing Art pick through is collection of blades like a painter picking his brushes was a nice way to start the movie. There were some kills I hadn’t ever seen before in a slasher, and that definitely kept things interesting when it became increasingly clear that the kills were going to be the main draw of the film. Making the excessive blood and gore the focus helped Terrifier feel like a bit of a throwback to some of the more mindless slashers of the seventies and eighties. That’s not to say Terrifier is dumb, but if I had one complaint it would be the story. Or rather, the lack of one. After a pre-credits intro that sets the tone, Terrifier begins by focusing on two women who are out after a long night of partying. Art fixates on one of the women, Tara, and that’s where the stalking begins that will carry the rest of the movie. The tenuous connection between Art and Tara feels a little like Michael Myers and Laurie Strode in the original Halloween. People around Tara begin dying, but she seems as if Art has something more planned for Tara. The random (and some slightly less than random) people Tara encounters are all clear attempts to pull in more bodies for Art to rip apart. The randoms seemingly set the stage for something bigger. 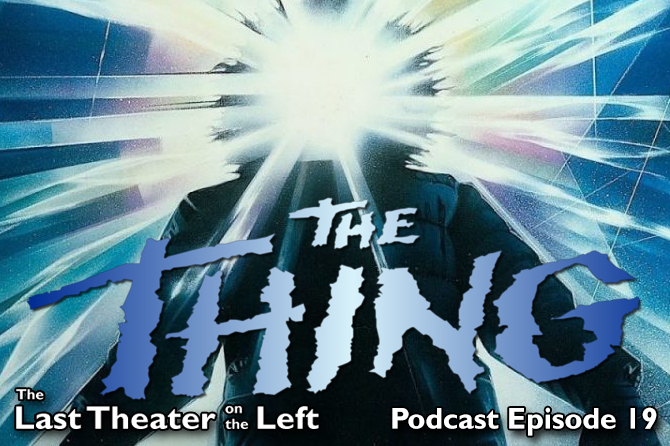 Unfortunately, it becomes apparent about half way through the movie that Art’s fixation on Tara doesn’t mean much. 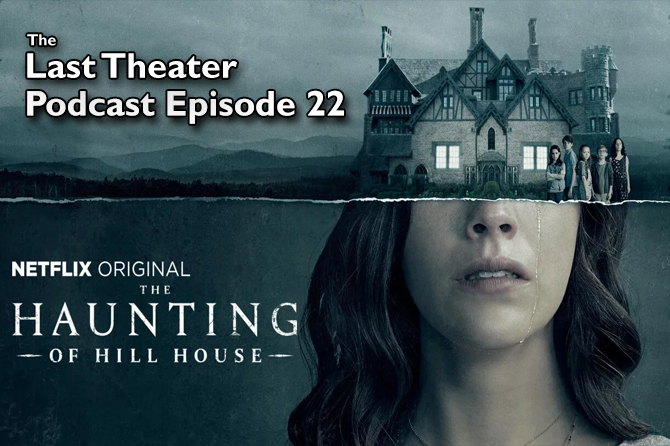 It drives the first half of the plot, but it really doesn’t play into the overall story. Art is the star of Terrifier. Everything and everyone else are just props for him to play with. Focusing on the killer and his essentially meaningless kills is fine, but it did feel like it could have been more. It could have been scarier. 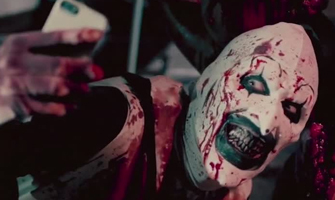 As it is, I didn’t find Terrifier particularly terrifying. For me, it was more about the over-the-top violence. It was more fun that scary. But it certainly was quite fun. I’ve cropped this image so as not to give away one of the biggest and bloodiest parts of the movie. The gore effects were well done throughout. 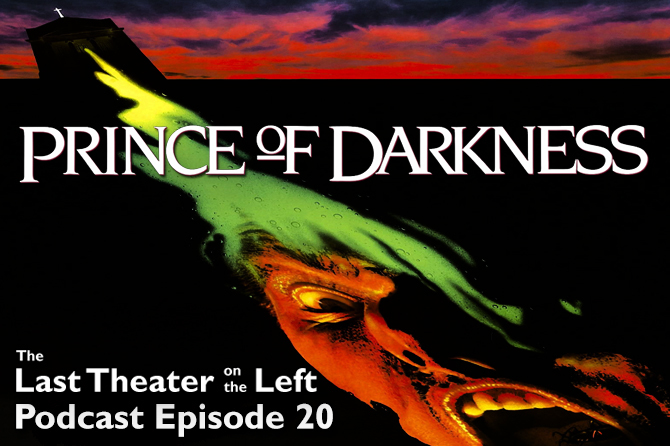 Some effects were better than others, especially on some of the larger makeup jobs, but any shortcomings were cleverly masked with quick edits, cutaways, and gallons of blood. The blood is excessive in the best way, and I wholeheartedly appreciate the multitude of practical effects in Terrifier. I also really enjoyed the overall look and feel of the movie. Terrifier is dark, but it’s not so dark that you can’t see anything. Rather, the darkness of the locations heightens the effect of Art’s bright white outfit and makeup. He pops out from his surroundings, his clean white clown suit a sharp contrast to the filthy and gross locations. He feels like he doesn’t belong where he is, and that adds some tension to the film every time he is on screen. Art’s white clothing and makeup also help accentuate the dark red blood that he is increasingly covered with as the movie moves along. Everything is shot and lit for just the right effect, and the desaturated colors again made me think of some classic slashers from the seventies and eighties. Even the title screen with simple red letters on a black background fit that exploitation era aesthetic. The movie just feels grimy all the time, and I think that’s exactly what director Damien Leone was going for. Terrifier is a must-watch for slasher fans. I think gore aficionados will enjoy it as well. 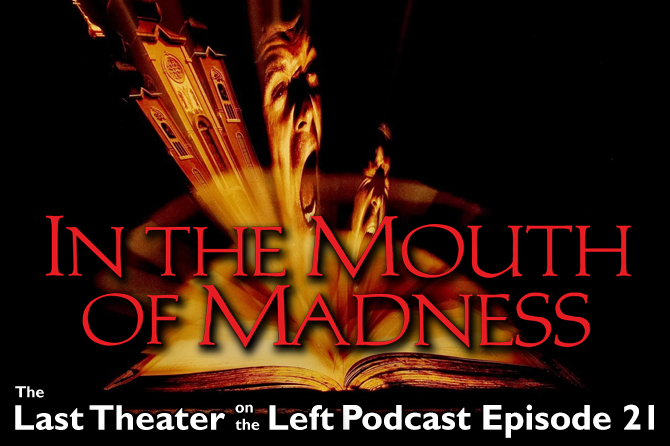 If you like a little more story or a connection with a sympathetic character, this isn’t really the movie for you. But if you just want to watch a very well-made slasher with lots of fun kills and an instantly iconic character, then Terrifier should be near the top of your list. 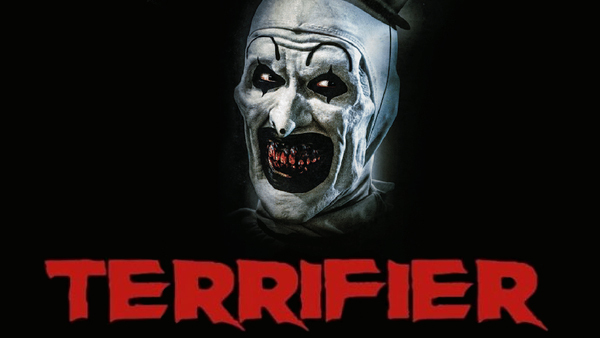 Watch the trailer for Terrifier.